Who is Liya Kebede’s Husband (Kassy), Daughter, Family? 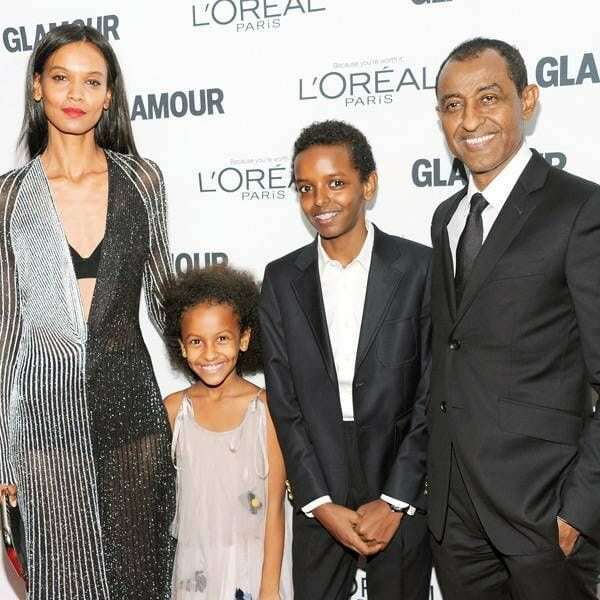 Home Models Who is Liya Kebede’s Husband (Kassy), Daughter, Family? The fashion industry is one of the most difficult industries to break into but the famed actress, clothing designer, maternal health activist and model, Liya Kebede had it a little easier. A few years after she was scouted by a filmmaker, the Ethiopia-born American star became one of the highest-paid models. And since her breakthrough in the early 2000s, there has been no turning back for her. She continues to excel and has grown beyond being a catwalk beauty on runways to creating her own clothing line and also advocating for the health of infants and mothers. Read about her journey thus far. Born on 1 March 1978, the model grew up in Addis Ababa, Ethiopia. She attended Lycee Guebre-Mariam, a French international school located in Addis Ababa. While still in Africa and schooling, a versatile French film director discovered her and recommended her to a modelling agent. At age 18, she relocated to Paris to take up the opportunity offered by a Parisian agency. This marked the beginning of what was to be a successful modelling career. After spending a few years in Paris, she moved to Chicago and finally to New York. The catwalk stunner found the incredible fame she had been hoping for in 2000 when she stepped on Tom Ford’s fashion show in an exclusive deal as his 2000 Gucci Fall/Winter model. The following year, she would appear on the cover of Paris Vogue, taking over the magazine’s entire issue. In 2003, she joined an American company Estee Lauder Cosmetics – which manufactures and sells beauty products such as fragrance, skincare, hair care and makeup. This made her the first and only model from her country to model for the company since its 57 years history in the business. Confronted by such ample record and fame, her salary became a subject of much speculation with many claiming she earned up to $3 million from the contract. Around this time, Models.com ranked her number one in the world. With all the speculations on air, she drew the attention of other big brands such as Gap, Tom Hilfiger, Saint-Laurent, Revlon, Victoria Secret, Yves, and numerous others. For her $2.5 million salary at the time, she was featured as eleventh top-earning supermodels in Forbes 2007 list of world’s 15 Top-Earning Supermodels. She has also appeared on different remarkable covers of American, French, Spanish, Japanese and Italian Vogue, V, Flair, i-D. She has also been featured on Time’s Style $ Design and in ad campaigns organized by top brands such as Yves, Shiatzy Chen, Louis Vuitton, Dolce $ Gabbana, Escada, Revlon, amongst others so far. Kebede has also achieved an astonishing success in acting. She debuted in minor roles in crime film Lord of War and in the spy film, The Good Shepherd, both in 2005 and 2006 respectively. But her role in a massively- acclaimed production based on the bestselling autography Desert Flower written by ex-supermodel Waris Dirie was the most remarkable. The film chronicled the tough experience of Dirie as a child in Somalia, her breakthrough story and subsequent boldness to be among the key persons sensitizing people against female circumcision. Beyond acting and modeling, Kebede is a philanthropist and uses her voice to raise awareness against mother-child mortality and female health. After serving as a WHO ambassador for Newborn, Child Health, Maternal Health, she opened her own foundation named Liya Kebede. The foundation shares the same mission as her former role in WHO which is to directly support relatively inexpensive medical programs in Ethiopia and around the globe. Although the star has seen massive fame in foreign lands, she still holds her country dear to her heart. She uses every chance she gets to honour Ethiopia and has credited the country’s cultural heritage as what moulded the woman she is now. And in 2008, when she was ready to launch her clothing line, Lemlem, the glamour star felt it was a suitable moment for her to put her country forward. Since Ethiopia is generally known for its detailed woven cotton fabrics mostly woven by hand, she made her clothing line to basically focus on both women and children’s clothing, woven and designed by hand, just the way it is done in Ethiopia. The clothing line has a mission of preserving the traditional weaving in Ethiopia and to create jobs. Currently, her net worth is placed at $18 million. Liya Kebede is currently single but that doesn’t mean she has never walked down the aisle. She was married to an Ethiopian millionaire and business mogul, Kassy Kebede. The couple got married in 2000 but separated in 2013. Their marriage, however, broke down legally in 2015. Kebede’s ex-husband, Kassy Kebede controls the operations of a hedge fund known as Panton Capital Group which pools fund from recognized institutional investors and invest in different assets. He is a managing partner of Cepheus Growth Capital (a private equity fund in Ethiopia) which he established in 2016. He has also held many posts in different notable organizations. The ex-lovers have two children including son Suhul born in 2001, a year after their marriage and their daughter Raee born in 2005. Liya Kebede is 5’10” tall and weighs 57kg or 126 lbs. She is quite slender with body measurements 33-23-34, which shows that she is gracefully slim. Her bust size which is 33 inches and waist measuring 23 inches further buttress the fact that she is got a supermodel body. She wears a shoe size of 9 (US), 40 (EU), 6.5 (UK). Her dress size is 4 (US)/34 (EU).